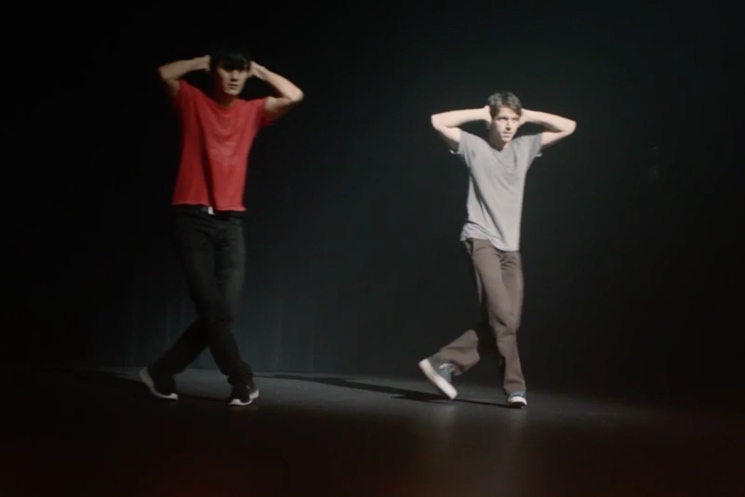 As a singer-guitarist in an indie rock duo, Meric Long of the Dodos isn't usually known for his dancing, but he shows off some impressive moves in the band's new video for "Competition." The clip begins with the two-piece sitting backstage, preparing to go on stage. But as it turns out, this isn't a rock concert, but a dance piece. Long performs most of it alone, but drummer Logan Kroeber joins him towards the end for a choreographed routine that's soundtracked by the surging, spiky indie rock track. The dude in the audience sure seems to love it! The whole thing plays out in one extended shot. It was directed by Tyler McPherron. This comes from the album Individ, out now on Dine Alone Records/Polyvinyl Records.